Cygnus manufacture and design school sails for dinghy schools and windsurfing schools, also in conjunction with a leading sail loft abroad have developed a range of school sails for most dinghy classes used in sailing schools. Our Sport 16 sails are made to last, We also supply club sailors who want top quality sails for club raceing and recreational sailing. These sails, have been developed for hard school use and are generally made of conventional high quality woven sail material. It is generally excepted that laminate sails produced for racing will not stand up to hard school use, our school sails will!! Our school sails, are as far as possible reproductions of the original race sails in shape and panel layout, as far as possible. Trim colours are also matched so they look the part. We aim to keep most school sails in stock so we can deliver NEXT DAY. Replicas (i.e. shape, panel layout, trim). Twin ply leach on jibs and mains where applicable. Example of classes; Laser, RS, Hobie, Topper. Popular classes are in stock with next day delivery. For prices and details, or to see a sample, please phone 01536 516779. Please note, school sails are supplied ex-class logos and ex-sailbag(most centres have sailbags spare or leave the sails on the boat).Sailbags can be suplied at a cost of £10.00. We are able to supply die cut: letters and logos for your school. Cut down on repair costs. Sell on your school boats with new class racing sails and keep using your school sails year on year, therefore, optimising the profit on your second hand boats. Keep your school sails looking smart by reducing patching and wear. Less downtime on your boats through damaged sails. Winter refurbishment service on your school sails. As far as possible we keep our school sails in stock ,so most of the time we can offer NEXT DAY Delivery. 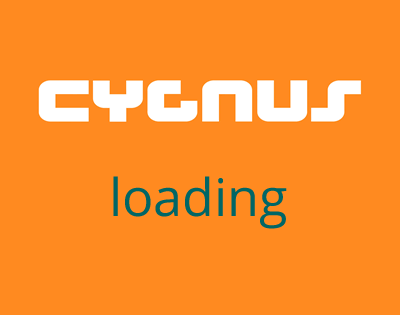 Cygnus also offer a fast and efficient sail repair service. We can arrange collection and delivery back to you. We keep materials in for most classes and specialise in the repair of Mylar sails.